A selection of Ireland Golf Courses we recommend. Why not get in touch with us at Ireland Golf now! That way, you can see what we can do for you. 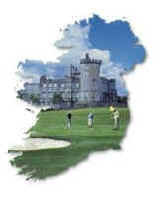 We have been organizing Golf Tours in Ireland for nearly twenty five years. If there is something we don’t know it is, therefore, probably not worth knowing!! So, get in touch and find out how we can plan your Golfing Trip in Ireland. Most of all, we especially pride ourselves on our knowledge of all the best holes in Ireland. In addition, we have also played at each course. Therefore, you can book with confidence because of our especially focused attention to detail. 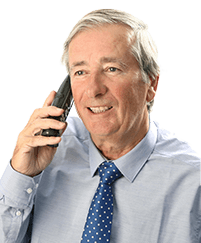 Why not contact us now by using the form on this page. If you would rather we call you back so you can talk directly that is fine. Due to our focus on service, we will therefore get back to you within forty eight hours. In our opinion we offer the best service you can get. Alternatively, you can fill in a Quotation form to get a price for your Golfing Party. You can choose to Tailor Your Itinerary and Golf in Tralee Golf Club. Or you can choose the same for the Old Head of Kinsale. Similarly, you can book Doonbeg or even Royal County Down if you so choose. Therefore, you have lots of options. In my opinion, strangely enough, Tralee gives you the best option. This is one of the world’s top courses. In fact, you can read reviews of Tralee Golf Club here. Still, be that as it may, you can choose many other options. Begin your Ireland Golf adventure now. In other words, fill in one of our forms so we can help you. In conclusion, let us help you make the best decisions for your vacation. Since we are Irish based, we promise you won’t be disappointed! At this point I would like to say more but I have a duffer to teach!